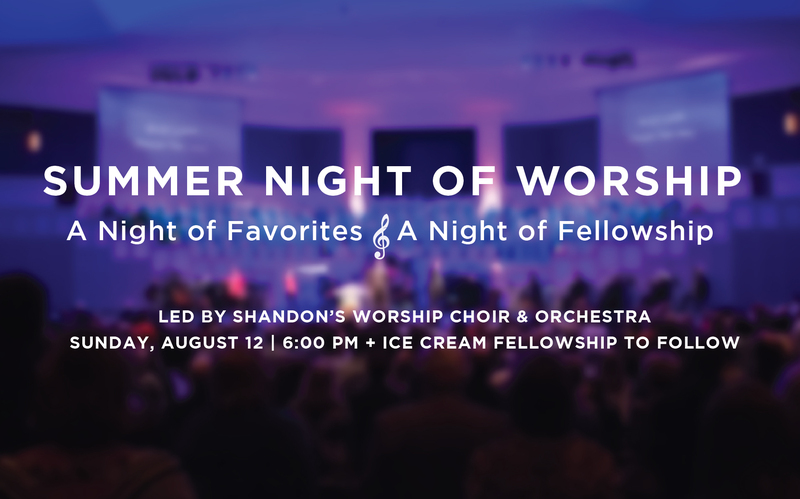 Join us in the worship center on Sunday, August 12 at 6:00pm for Summer Night of Worship, a night of energy, inspiration and worship for everyone, led by Shandon's worship choir and orchestra. An ice cream fellowship will follow in the gym. This is a free event (no tickets/registration required). Childcare is provided for infants through age 3 for the worship portion of the event .